Who is Rev. Robert Evans? Robert Evans was born in Sydney, Australia, in 1937. His family's religious background was in a tiny hyper-Calvinist Baptist denomination. He trained for the Methodist Ministry, and was ordained by the New South Wales Conference in 1967. 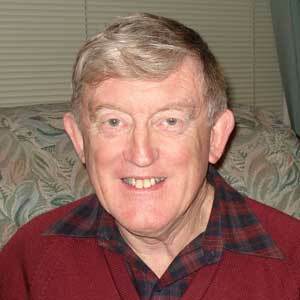 He served as a Circuit minister, and subsequently also in the Uniting Church, retiring in 1998. He graduated from the University of Sydney, majoring in philosophy and modern history. In his private researches he has specialised in studying modern evangelical revivals, the great awakenings, and the literature relating to these movements, assembling a large private library about these subjects. His first major book was "Evangelical Revivals in New Zealand," written jointly with the Rev. Roy McKenzie, and published in New Zealand in 1999. This was followed by his authorship of "Early Evangelical Revivals in Australia," which tried to cover the subject up to the year 1880. It was published in Australia in 2000. Both of these books represented the first book-length attempts by anyone to treat these subjects seriously. He is currently the President of the Uniting Church Records and Historical Society in New South Wales. The author is also a noted amateur astronomer, widely known for his visual discoveries of many supernovae in other galaxies, mostly using "backyard" telescopes. He helped to lay the ground for other amateurs to be involved in this area of observational astronomy. His discoveries played a role in recent major advances in cosmology wherein professional astronomers developed measured estimates of the age, history and destiny of the universe, arising from studies of supernovae. His awards, etc., for this work include the Medal of the Order of Australia, for contributions to science, the Centenary Medal of the Societe Astronomique de France, and honorary membership of the Royal Astronomical Society of Canada. He is a member of the International Astronomical Union, the Astronomical Society of Australia, and a number of amateur organisations.